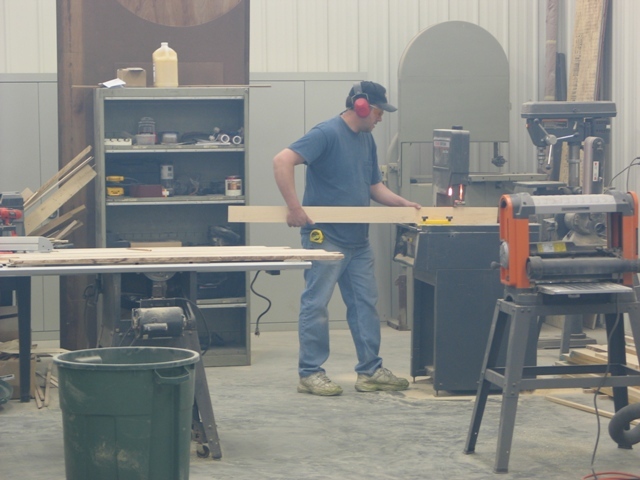 Here Kelly Page, who was the man responsible for the woodwork, is cutting the pieces that will eventually be formed into the side rails of the interior wood structure. 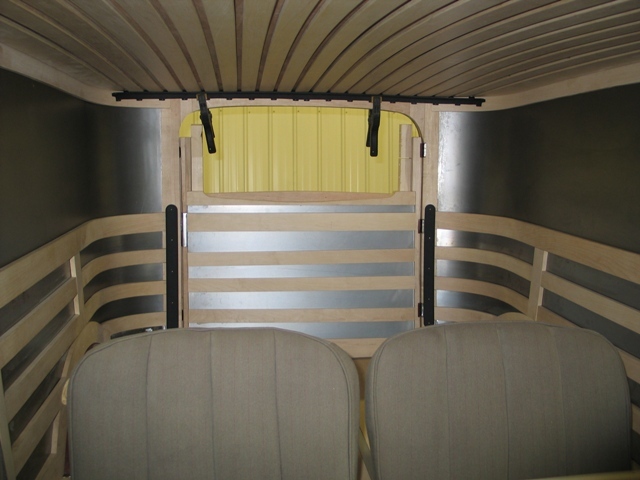 The quality of his woodwork is second to none! A test piece was made to help get the size and shape just right. From here, we'll make all of the pieces required. 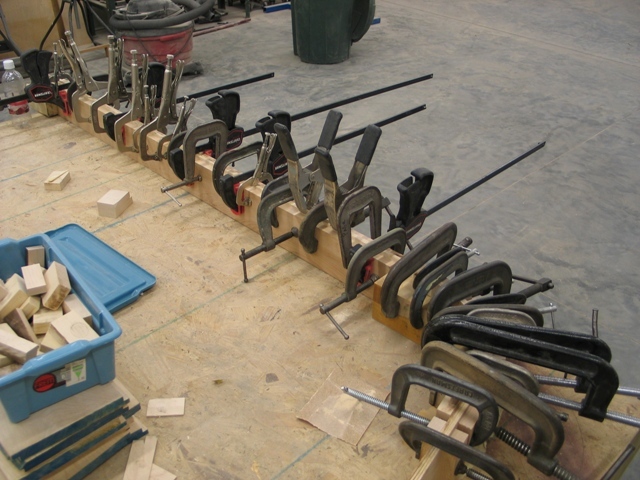 A jig was set up to form the side pieces. 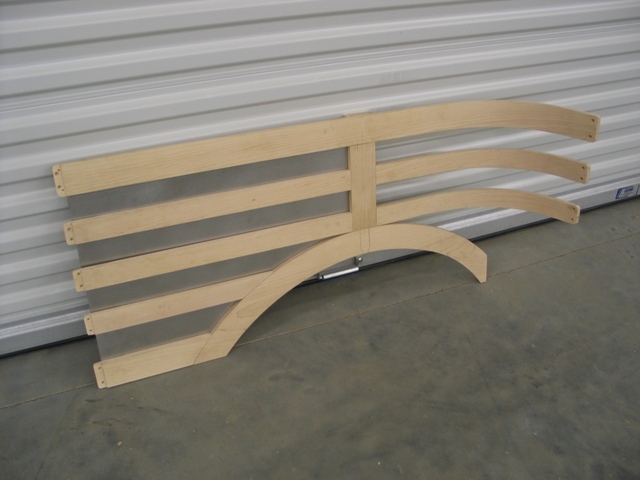 They are made up of several thin pieces, laminated together to for the curve. 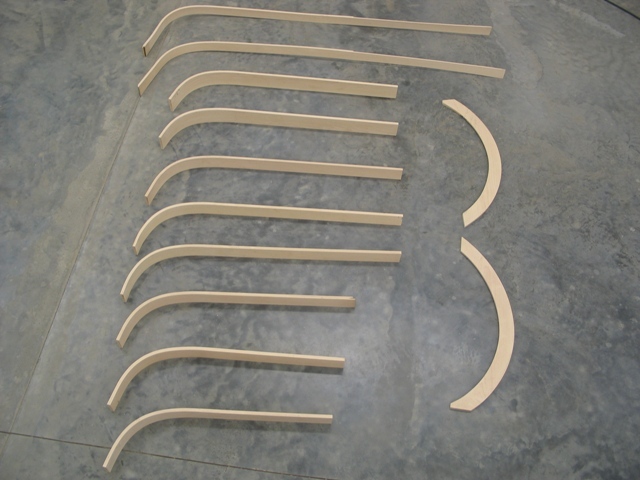 Here's all of the side pieces, formed and cut to shape. Now we just need to assemble. 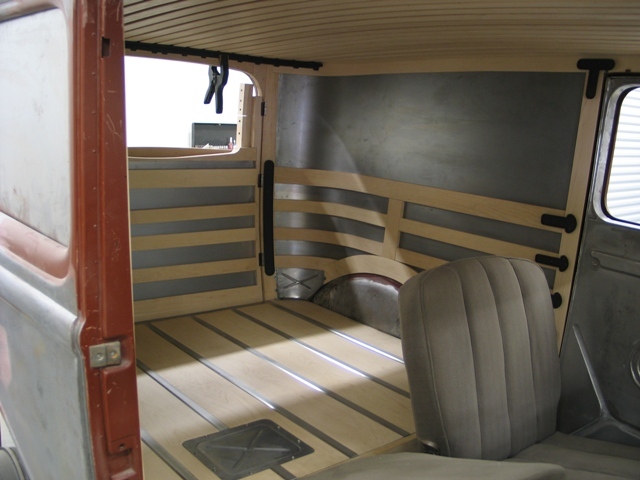 Here's the completed side panel. One piece of steel is in place, the rest still needs to be made. 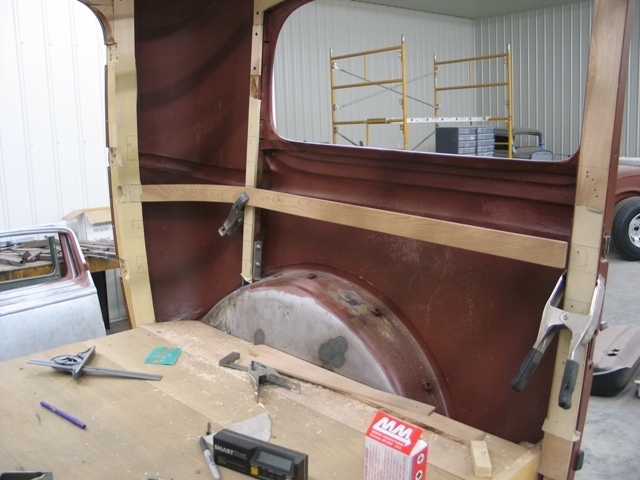 From here, alot of sanding and oiling before it will be ready to install in the car. 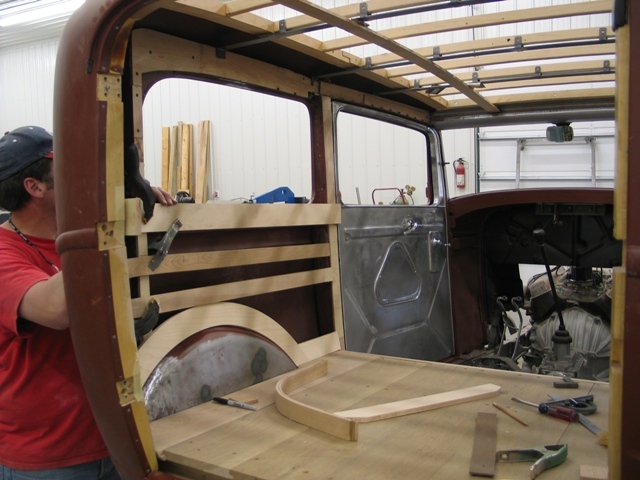 Here's the completed side panel, completed and ready to remove for final oiling of the wood and painting of the steel.